The Embassy of the Kingdom of the Netherlands in Tokyo is calling for Dutch (applied) game companies to participate in the Holland Pavilion at the Tokyo Game Show 2019. Prior to the event we will organise a day of working visits to gaming companies in Japan. Where possible, the Embassy will also try to assist participating companies in arranging individual meetings with potential business partners. 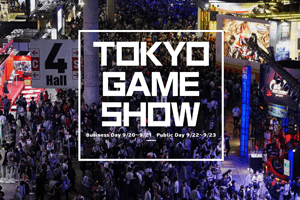 The Tokyo Game Show is Asia’s largest game show and had over 250,000 visitors in 2018. With the Holland Pavilion the Embassy aims to offer companies a chance to meet potential business parties in Japan and showcase their games to a wide audience. It also offers companies the opportunity to meet other interesting Dutch game companies. The aim of the working visits to gaming companies is to get a better understanding of the Japanese gaming industry and to provide insights and practical information on entering the Japanese market. • Entrance to the Tokyo Game Show (12-15 September, 2019) including being mentioned in the participation lists. • A demonstration booth (one per company) at the Holland Pavilion. • Invitation to the opening event in Tokyo where you will have a chance to meet with Japanese game companies, press and many others. • Being featured in promotional flyers. Costs: 1000 euros per company. * please note that some companies might only allow one person per company to join the company visit. Additional costs include: international airfare (around €1000), accommodation costs (around €100, per night) and daily expenditures. Please submit your application before May 10th by sending an email to TOK-GAMES@minbuza.nl . We aim to show a full range of the Dutch game industry in Japan and reserve the right to select participants. The Embassy highly values active participation for the full four days of the show. For more information on Tokyo Game Show 2019, please visit the website.